In the last couple of months I’ve been heavily experimenting with the use of “tempo intervals” in the training programs of various athletes. Popularized by the late Charlie Francis, these relatively low intensity intervals have proven effective in various regards in my experience so far, so I’d like to share how I’ve been using them and the benefits they appear to offer. Probably the easiest way to think of tempo intervals is as some mix between LSD and HIIT – they aren’t high intensity like most interval these days, but they aren’t done continuously or always at slow speeds either. Francis originally used them in the training of his sprints as a form of active recovery and to build aerobic fitness. It’s interesting to note that so long ago you had a high level shorts sprints coach advocating the use of lower intensity aerobic training methods in the training of such explosive power dominant athletes. This was generally before everybody jumped on the “anti-aerobic” bandwagon though, so maybe that’s why tempo runs caught on quite a bit in the track world – or maybe it’s just that they are effective. In either case, I started experimenting with this form of interval a few months ago and used them heavily in Tim Boetsch’s training camp. As I’m able to use HRV to measure specific changes in autonomic function and energy systems, I was curious to see what the effects would be. I heard Charlie speak many years ago at a seminar in Vancouver and although his lecture was completely all over the map and revolved far too much around Ben Johnson, it was obvious that the guy knew speed development and training for it as well as anyone out there. I had used tempo runs a bit before with football, but for whatever reason I had just never really incorporated them into MMA so I decided to give them a shot and see what happened. At first, I mostly just had the guys start doing tempo runs, just as Francis popularized. This generally consisted of a 12-15 second run at about 70-75% speed and about 60s rest in between reps. I mostly used the Woodway Force for these as you can measure speed/distance/load easily on it and the weather in Seattle has been terrible the last few months so we needed to stay indoors. I quickly found these intervals to be a good form of active recovery and HRV measures would be noticeably improved on days following tempo runs compared to rest days where nothing at all was done. A lot of this simply has to do with activation of the body’s aerobic and adaptive mechanisms combined with a minimum of residual fatigue from the loading. This is really what active recovery does in general, it activates the body’s adaptive biological systems and “jump starts” them if you will, while keeping fatigue to a minimum. The result is improved recovery and when performed at low to moderate volumes, tempo runs are an effective form of this. Next, I began having fighters performing tempo intervals in higher volumes to see how they would impact aerobic fitness and I also began having them use the intervals with more specific MMA type drills like bag and pad work, shadowboxing, etc. I incorporated the tempo method 1-3 times a week with most fighters and typically had them do them on off days or at the end of other training sessions. When I used higher volumes, somewhere between 20-30 minutes of the intervals per session, began to see noticeable improvements in aerobic fitness as well as increased work capacity. Aerobic fitness increases were measured with both direct and indirect measurements and I would venture that they likely stimulate some increased vascularization along with possibly some mitochondrial increases as well. For this purpose, I also think it’s better to keep moving during the “rest” interval rather than doing nothing, the pace is just slowed dramatically. It’s still a bit early in my use of this form of interval to give definitive recommendations as for their most effective use in combat sports, but if you’re looking for a good form of active recovery and to build some work capacity – I’ll be doing an article soon on what work capacity is exactly – then try using tempo intervals at a low to moderate volume on your off days. Something like 15-20 minutes generally seems to be about right and for this purpose, I think more generalized training like running can be used. If you’re working on improving aerobic fitness, try increasing the volume to 20-30 minutes and get in at least two sessions per week. In this case, it’s generally better that at least one of these is done using some combat specific drill like bag and pad work. It’s not very easy to do this type of interval using grappling drills unfortunately. Also, for this purpose I suggest keeping moving during the rest interval. A good example would be to hit the bag or some pads at about a 70% intensity for 12-15 seconds and then shadow boxing or jumping rope for 60s or so. You can then simply repeat this for however long you want. One of the keys to doing tempo intervals is using the right training intensity. You shouldn’t feel exhausted or worn out when you’re done with this type of work. You should feel like you worked, but not anything like after a heavy sparring or grappling session. This type of training should be around a 5 or 6 on a 1-10 scale of overall intensity. Give them a shot and feel free to post your comments to let me know how they work. Whereas I am not an MMA athlete, I have been using the tempo intervals throughout the past few months as an option for me to do some aerobic based training for general health and fitness pursuits. I have a Polar RS100 and set my heart rate range at a lower limit at 60% of heart rate reserve and an upper limit of 75% of HRR, which gives me a range of 135-155. I go to a football field and run/stride the width of the field at a speed that would roughly correspond with 70-75% max speed, which takes about 12 seconds. I then walk the length of the field until my heart rate falls below 135 and heart rate monitor starts beeping and start my next interval. I have been doing this workout for 20-30 minutes, 1-2 days per week and over the last 2 months and have watched my resting heart rate drop to the low to mid 50s. Hope that can give you and your readers some feedback on this method. What was your RHR before you started these intervals? I’ve recently began running outside to lower mine from 65-70, and it has dropped to 60 in about a month. This sounds like a viable way to get some aerobic training in using a treadmill on bad weather days, as I cannot run for long constant durations on a treadmill without losing my mind. Thanks! I use a similar concept in training soccer players. The demands are almost identical to the energy and effort required during a match. One interesting note is that many ‘experienced’ coaches do not understand nor practice what I refer to as micro-periodization… Essentially what is called active rest but applied during the season. Day 2. Work out – if high intensity then circuits are used with 15 seconds in between; I tried 10 seconds for rest but it was too demanding on the CNS. If low intensity then active recovery using a ball and practicing techniques such as dribbling or shooting are applied for about 45-60 minutes. 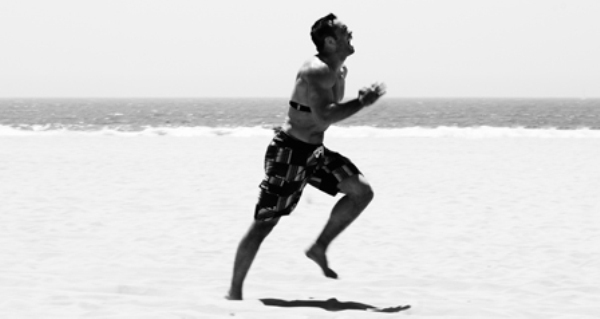 If moderate intensity then 15 seconds of running and 45-60 seconds of rest over 20 minutes are applied. Day 3. Practice – usually I find these are run in a way that are not conducive to game conditions – too many players, too small of areas to play in. That usually leads to a moderate intensity day. Day 4 – Distance run of 55 minutes which is varied for inclines and tempo. Day 5 – Practice – same as Day 3. Day 6 – day off or active recovery. The bottom line is the players are the fittest they have ever been and are able to recover quickly during the match. Keep up the good work Joel. It does make a difference! Hey Joel, any specific heart rate ranges you would make sure they athlete stayed within? if you’re working at the right intensity, the heart rate shouldn’t really go over anaerobic threshold, that’s probably the main guideline. Rest intervals it will usually come down to 130-140 depending on the level of fitness to begin with. That’s pretty much my experience with extensive tempos. I’ve been using them for about four years and apart from everything you mentioned above, they are also a breeze to set up logistically in large groups. However, I no longer use straight runs, as it didn’t allow for the smoothest transition back into technical/tactical training, due to the various biodynamics of rugby. But the concept is the same. Would you recommend Tempo Runs for a powerlifter on days off from their training? Would this interfear with training at all? Excellent article. I am not an MMA athlete but I have been reading many MMA oriented training articles due to the cutting edge ideas. My activity is kettlebell sport. I detest running and this tempo idea seems like a good way to improve my cardio. I intend to use it a couple of times a week, on off days, with a lightish kb. (16 kg.) doing 2 handed swings. I will shoot for 20 sets of 0:30 work/1:00 rest. at 70% effort. Would this work for grappling specific tempo intervals? Next time i do this i’ll use a HR monitor to measure intensity. A dill I do with a training partner is work on a wrestling take down set up 9 times and take my training partner down on the 10th rep. An example is working on an arm drag 9 times and doing an inside trip on the 10 rep. I’ve done this for 15-30min. it feels like cardiac output training. what do you guys think? Hi, Joel — I’ve sort of stumbled on to something similar by doing my aerobic training on mountain trails behind my house here in North Vancouver. I run on the horizontal trails (as opposed to running up the mountain) which vary constantly between up and down. On the uphill, my heart rate is 160-165, on the down it falls to 130 or so (though I’m moving much faster). The length of each interval is determined by geography, however, rather than a clock, but it seems to range between, say, 10 seconds, and a minute. I’m wondering whether randomizing the duration of the interval in this way is a positive or negative thing. Also, I’m doing runs that are either 60 or 90 minutes. I take it that’s too long for active recovery? I think for the purposes of the method, you’re better off keeping the work intervals fairly consistent and not more than 15 seconds and 60-90 minutes of this type of work is too much if the goal is recovery. It’s more workable if you’re doing more for aerobic fitness though. “Aerobic fitness increases were measured with both direct and indirect measurements” – what do you call direct and what are indirect measurements to you Joel? Direct measurements would be tests like VO2 max, lactate threshold, power at lactate threshold, 1.5 mile run or some other aerobic fitness test, heart rate recovery, etc. Indirect would be things like resting heart rate, HRV numbers, diffECG on Omegawave, etc. Which method do you prefer to use on an off day to enhance recovery? Tempo Intervals or Cardiac Output (Running)/Roadwork 2.0 (low volume)?